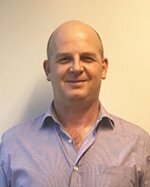 SLR is pleased to announced the appointment of Graeme Starke to lead the Air Quality team in the Asia Pacific region. Graeme brings more than seventeen years’ experience and has a particular focus in the assessment of the environmental effects of air discharges, emission inventories, atmospheric dispersion modelling, management plans and air monitoring. Graeme joins SLR with a background in managing environmental projects for coal seam gas fields, power stations, oil refineries, mines, and aluminium smelters and other various industries. He was also involved in the preparation of a national dioxin air emission inventory for Department of Environment and Heritage. SLR has experience in providing expert advice across a wide range of services, covering all aspects of air quality assessment, and the sustainable management of operations. “It’s a very exciting time for SLR’s technical growth and we are thrilled to have Graeme leading our Air Quality team”, commented Operations Manager, Shane Elkin. Graeme’s appointment at SLR follows the recent expansion of engineering and advisory services in the Asia Pacific region.